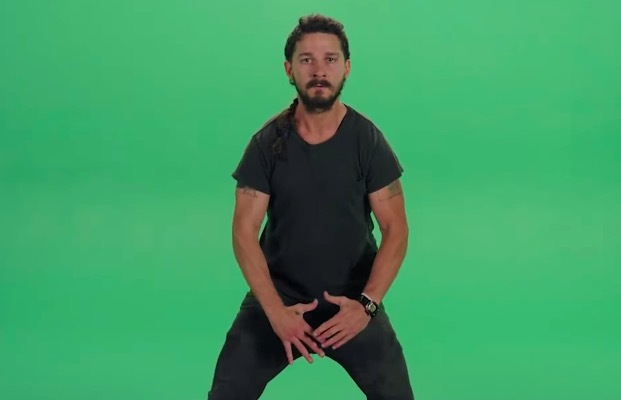 So, chances are you've come across Shia LaBeouf's outrageous motivational video in the past few days. It looks like the Decepticons have finally gotten to him, right? While somewhat believable, that's actually not the case. You see, the clip is actually an excerpt from a much longer, 31-minute video, which he was acting in, (via Yahoo!). The short film was based around an art project called #Introductions, which entailed students from Central Saint Martins—a London arts college—to submit brief scripts for Shia to act out. So, to reiterate, what you've seen is a portion of a much larger video, which was written by college students as an art project. #INTRODUCTIONS from Rönkkö & Turner on Vimeo.